Sure, his new ship is fast - but can it escape the cannonballs of both North and South? Not one of Verne's better stories. Perhaps the children liked it. Didn't particularly care for it, though the idea was intriguing. Started out with some interest, but when the girl appears and changes the book from a pro-confederate to a pro-yankee book, it begins to go down hill from there. 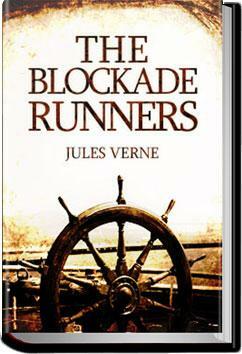 The Blockade Runners, is from the father of Science fiction. It comes across as an escape from the usual writing of the time. We are able to learn so much about his writing that we can use today. Obrita menor de Verne, casi podríamos decir que de juventud. La edición leída es la de Sáenz de Jubera, con bastantes erratas y la peculiar ortografía de finales del sigo XIX.